The Denver Nuggets seem to be trying to get rid of all the pieces from before the tanking seasons, hoping the Boston Celtics agree to a trade for Danilo Gallinari. Right now the link is cold. The two sides have talked, but nothing is happening at the moment. The Nuggets are hoping they can get a piece from the large number of first round draft picks the Celtics have, and clear the $11.5 million Gallinari is owed off the books. The Celtics, hoping to make the postseason and more this season, have already traded for a one-year rental, David Lee, but managed to get rid of Gerald Wallace in the process. They’re hoping that if they do bring Gallinari over, it doesn’t cost them more than a second round pick or two of them. The Nuggets at the moment seem to be more busy figuring out what players they can get rid of instead of adding pieces to become a playoff threat again. 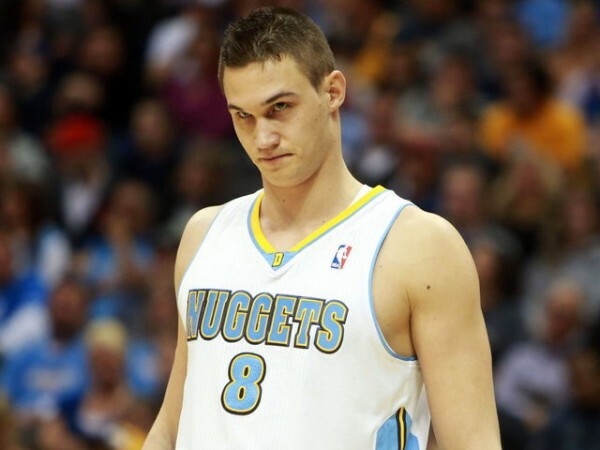 In hindsight, the Gallinari injury that happened just before the 2013 playoffs and took him out from the entire 2013-2014 season possibly cost George Karl his job and turned the Denver Nuggets into tankers instead of a constant figure in the Western conference postseason. He played just 24.2 minutes a night last season, averaging 12.4 points per game. His per minute and per possession numbers were the best of his career, so there’s plenty of hope for him yet. He’s going to turn 27 next month.